SAT-7’s current affairs programmes provide vulnerable Christians in the Middle East and North Africa with a vital means of engagement. By giving a Christian point of view on the big issues of the day, these programmes encourage believers to move from the margins of society and become active citizens. And by providing a tolerant platform for discussion, the shows also help to build bridges of understanding between communities. The past few years have been tumultuous ones in the Middle East. Bridges, SAT-7 ARABIC’s flagship current affairs show, helps viewers make sense of the big stories affecting the region. For example, the Bridges team stood alongside the families of the 21 Egyptian Christians who were murdered in Libya in 2015. 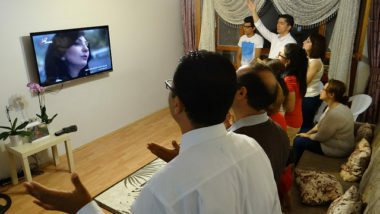 Bridges reported on the kidnap of the believers when mainstream news outlets were neglecting their plight, and the team visited their families, giving them the chance to speak out. Bridges also reports on tough social issues affecting viewers. One episode, called “Childhood in Egypt”, focussed on FGM (Female Genital Mutilation), a devastating practice affecting 133 million women and girls in the Middle East and Africa. Pray for the Bridges team, asking God to guide them as they investigate and report on different topics. Pray that the Lord will use the show to help bring about social change by raising awareness of important issues. 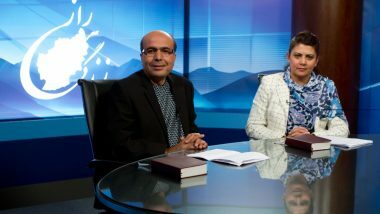 This weekly broadcast presents news that is especially relevant to Turkey’s small, marginalised Christian minority. For example, one bulletin covered the stand taken by the (then) only Christian member of the Turkish Parliament, who appealed to the UN to take urgent action on the massacres of Christians in Syria by Islamic State. The programme’s reports are also made available as written articles online, and plans have been discussed to launch a children’s news programme presented by friendly talking sheep! Pray that SAT-7 TÜRK News will encourage isolated Turkish-speaking believers to feel part of a connected Christian community with a voice in the public sphere. Pray that the programme’s positive message will be a good influence on viewers from all communities and will be successful in promoting respect and tolerance. Pray for all the viewers of the show, whether believers or seekers, that they will take great spiritual benefit from watching.